Eurocom has benchmarked the Shark 3 with NVIDIA GeForce GTX 860M with 2GB DDR5 VRAM, 640 CUDA Cores, with a GPU core able to run at up to 1029MHz +boost. This has been done to express the high level of performance the Shark 3, a high quality, secure, mobile, performance oriented system can have. We take security very seriously; Eurocom has coupled an integrated biometric fingerprint reader and a Trusted Platform Module to secure the Shark 3 from unauthorized access. The Trusted Platform Module addresses a fundamental aspect to IT security: the root of trust. Embedded into the Shark 3, the TPM provides a proven, safe foundation for more secure computing. The Shark 3 has a very high quality keyboard with perfect key travel (1.4 mm) and actuation pressure. A beautifully menacing full size isolated keyboard with numeric pad and silver Backlit makes gaming or working in the dark a breeze. The Shark 3 measures just 14" x 10" x 0.65-1.71" and weights only 5.9 lbs, while also supplying tremendous SATA-3 storage, up to 5.5 TB, allowing users to save more of their favourite photos, music, games, and more, as well as headroom to install additional office and entertainment applications. Customers may also choose between RAID 0 or RAID 1 for the ultimate transfer rates and application load times or redundancy. Up to 24 GB of memory is supported via three memory slots. The EUROCOM Shark 3 has a 15.6” full HD 1920x1080 display while customers can choose between Matte or Glossy displays. The 2,073,600 pixels of the 15.6”1920x1080 display are powered by the NVIDIA GeForce GTX 860M graphics with 2GB DDR5 VRAM, 640 CUDA Cores, with a GPU core able to run at up to 1029MHz +boost. 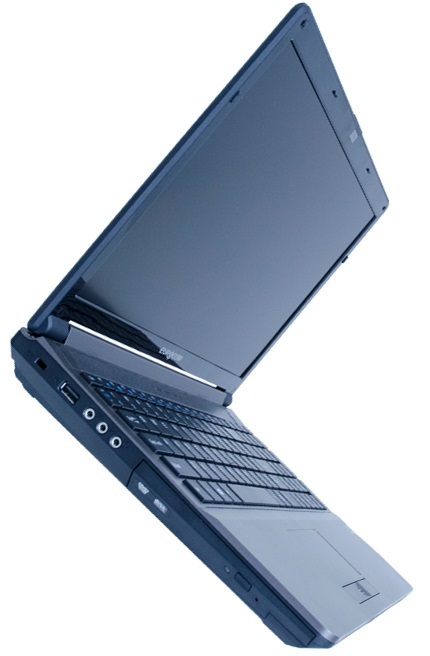 The Shark 3 is the newest addition to the Eurocom line of lightweight notebooks. It supports high performance NVIDIA GeForce GTX 860M graphics, 4th Gen Intel Core i7 processors and up to four storage drives for an abundance of options in storage capacity, performance and redundancy.